Click here for a list of certifications and associations. I am a southern girl living in the midwest. I still believe in "Yes ma'am" and "Yes sir". I have 3 beautiful kids who everyone says look just like me. Lists help me keep my sanity. I worked at a Fortune 200 company for 14 years before becoming a full time entrepreneur. My mom has a cute story of me planning my first event when I was a toddler. ​Favorite thing about events - my clients' excitement when they are pleased with what I've done. "Sherryln is master event planner - she is professional, creative, friendly and masterful in creating, planning and organizing events. I so appreciated her professional and prompt communication in coordinating the #WowTwinCities event where I was honored to be a LinkedIn expert presenter. Hire her for all of your event, wedding planning, event or convention needs - you'll be thrilled! " "Sherryln was a great asset for my team. She was always customer service focused, had a great attitude, and was very much aware of the importance of establishing and maintaining detailed procedures in order to provide a friendly and consistent customer experience. I was impressed with Sherryln's ability not only to function effectively within her role, but also her ability to grasp the bigger picture and to pivot her path in order to do what was right for the customer and ultimately the company. It was great working with her and I would highly recommend her to others." "Sherryln is an excellent event planner and organizer. I have utilized Sherryln's services for the last few years and she has provided cost effective, timely and innovative event plans for concerts, receptions and parties. Her ability to gather information and execute strategies while at the same time keeping the customer in mind is a great asset. 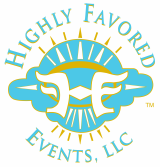 I highly recommend her company for any event planning opportunities."